The Silky Dream Bracelet by Maria Teresa Moran uses a netting technique to combine Silky beads, SuperDuos, Swarovski crystals, and Japanese seed beads. I love the look of this bracelet! The monochromatic color scheme gives the bracelet an elegant, upscale appearance. I can see making this is silver so I could wear it with everything. 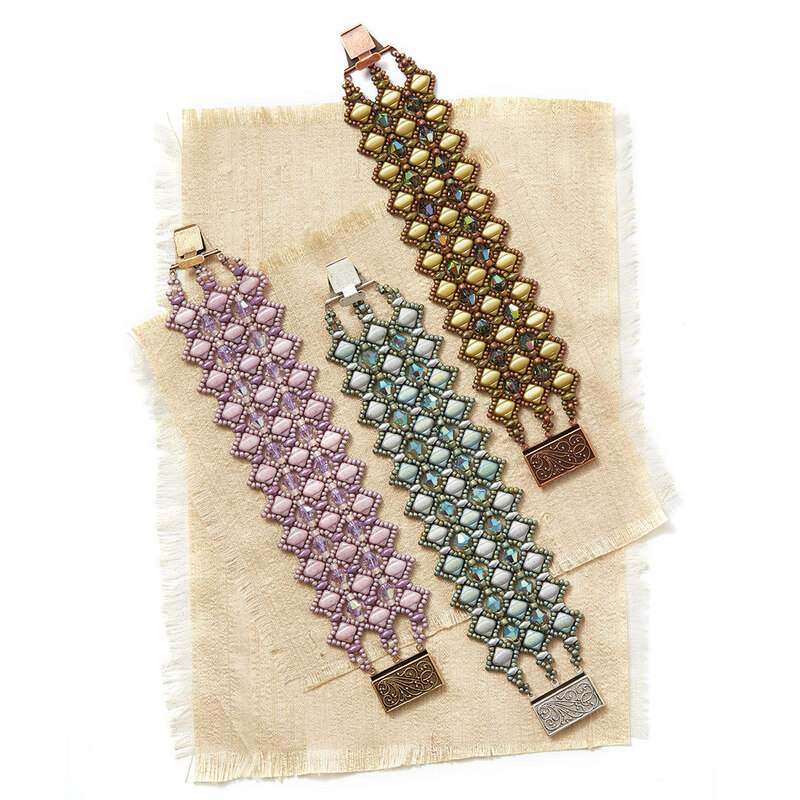 For the Modern Patchwork Bracelet by Marina Montagut, you weave a peyote stitch variation to create a patchwork effect. The resulting pattern resembles a beautiful, modern quilt. 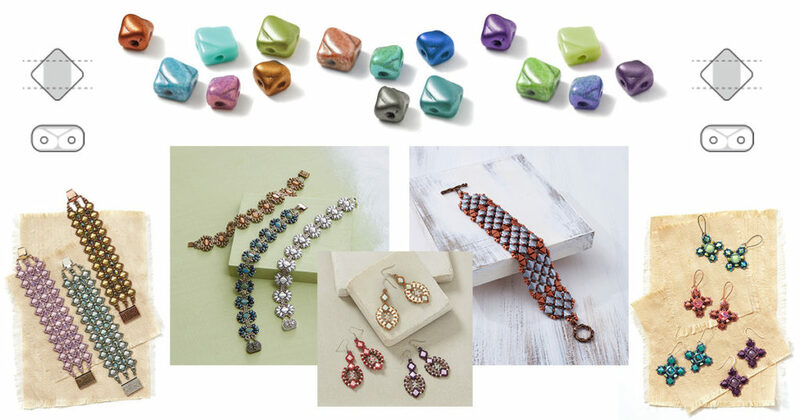 The matte metallic Silky beads give this an eye-catching, modern feel. Experiment with your favorite color palettes to create different looks. 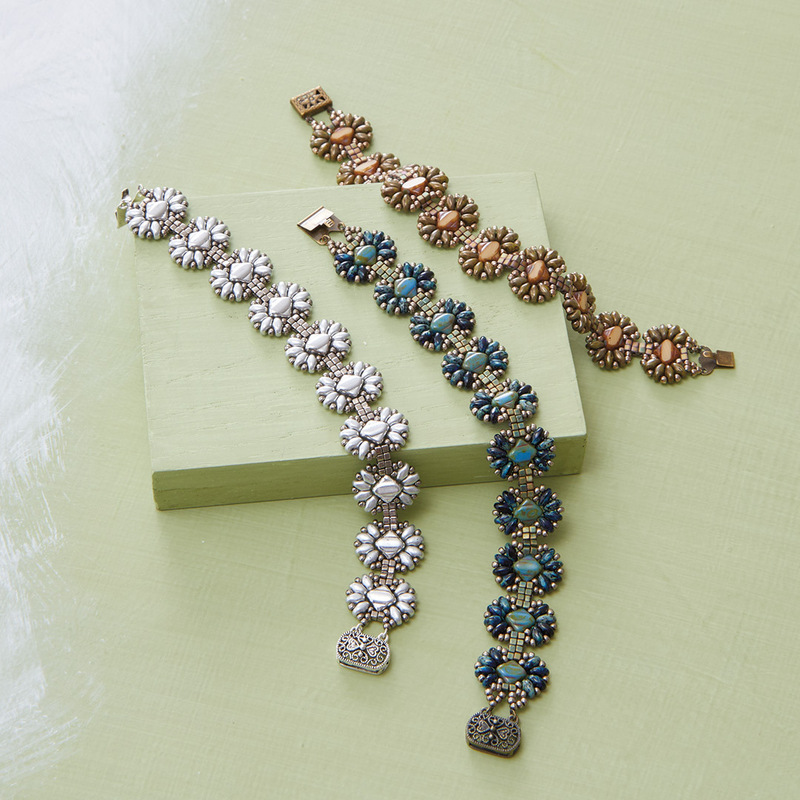 Silky beads are the stars of this delicate bracelet inspired by butterflies. 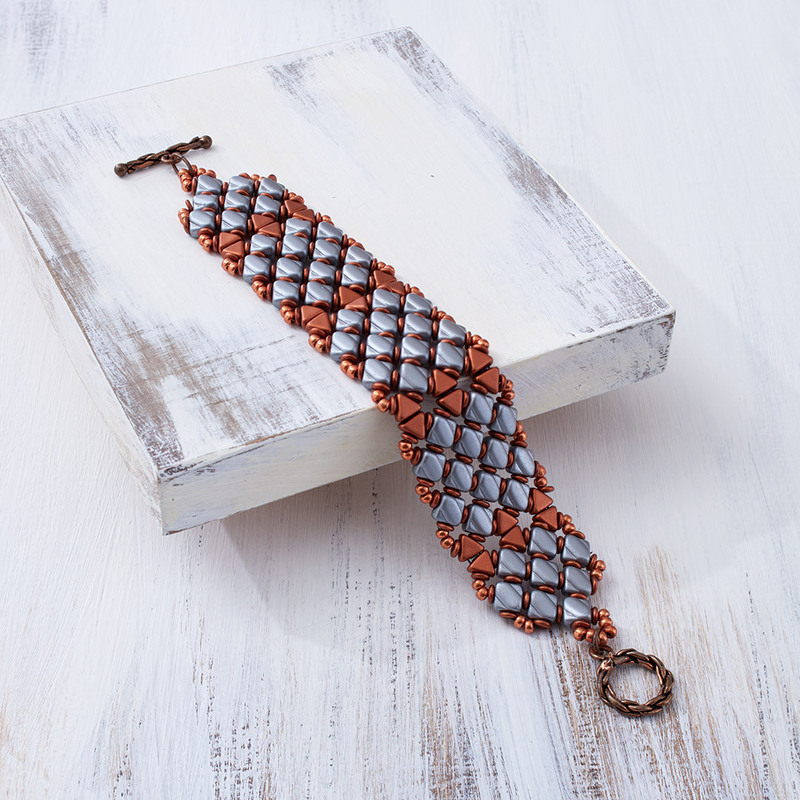 The Papillon Bracelet by Carole Ohl is an intermediate project that uses several different stitches. At first glance, this strikes me as a dressy accessory, but I think it would also look amazing in a Boho stack. 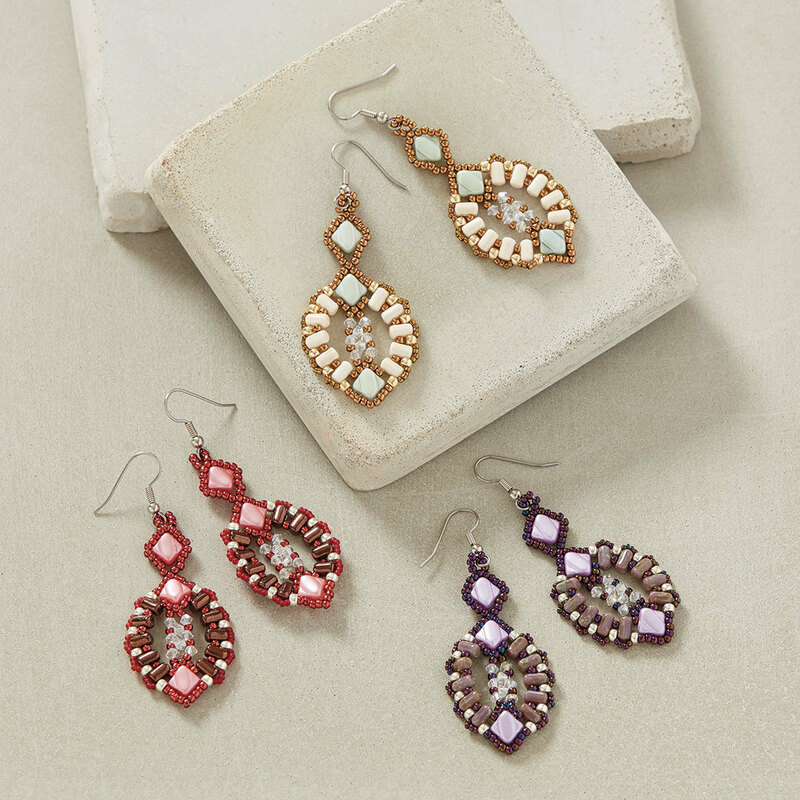 These Champagne Serenade Earrings will be the perfect complement to your next special occasion–or use them to dress-up a ponytail! 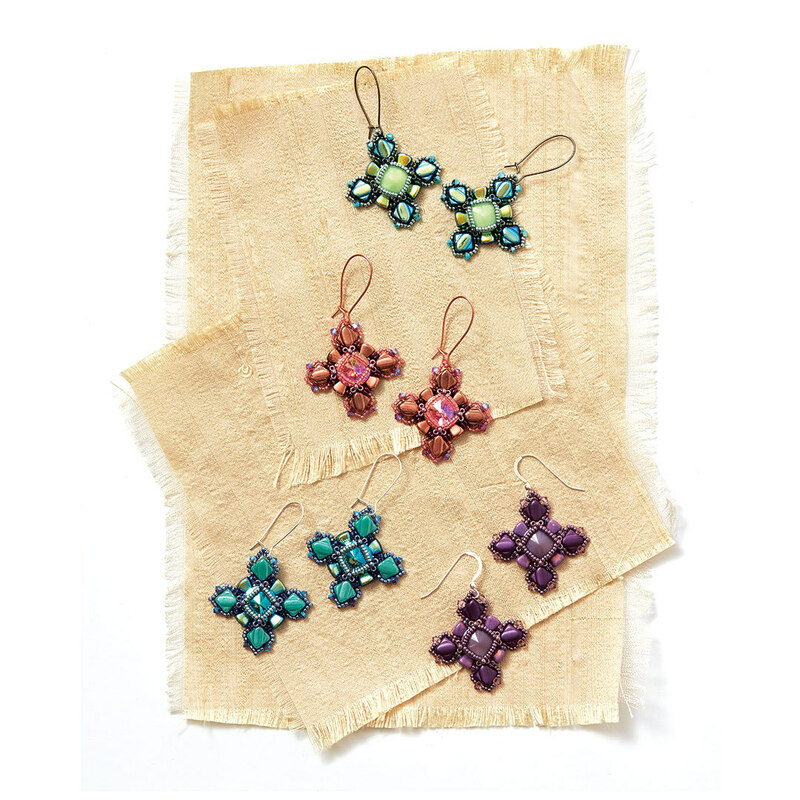 Evelína Palmontová stitched these earrings together in circular peyote stitch with picots for a fun, festive look. They’re a good beginner project and pretty much instant gratification. Or, try the Sugar Coated Earrings by Laura Graham. Use tubular and circular netting to form open bezels around vibrant crystal rivolis, then add structural appeal to surround the bezel with two-hole beads. The Silky beads make good focal elements for the north-south-east-west compass points. 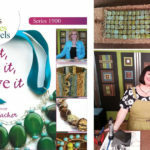 Find more recommendations for pretty shaped bead patterns to try in Beading Trends: Pastel Bead Weaving Projects.